Since school's start, I have had a hard time getting back into a regular writing routine. This is especially troubling because I am teaching a blogging class next month and I haven't set the best example of late. Back in the AOL days, I remember seeing this 4 Things survey circulate among friends and family. It may have passed through the early days of Facebook as well. I forgot about it until it popped up again in my blog feed. So, thanks to Heather at My Little HEA and Kerry at Till Then Smile Often for the fun post idea. I mixed up a few of the categories to make it more of my own. 2. Kelly Ann, but only when I was in trouble as a kid. 4. A chestnut. My husband says it protects against envy. 4. Galicia, Spain...temporarily, for now. 1. My mom's baked beans, with steamed hot dogs, and New England brown bread. 2. My mom's macaroni and hamburg, with a sauce made from Campbell's tomato soup. 3. Duncan Hines Strawberry Supreme two-layer cake with vanilla frosting...my Mom makes my birthday cake every year. 4. My Mom's roast (pork or pot roast) with mashed potatoes and gravy and mashed carrots and turnip. There's no cooking like Mom's cooking. 1. The Late Bloomer Series, by Betsy Talbot. So far, I have read Wild Rose and English Ivy. It's a fun romance series featuring over 40 leading ladies. Very fun! 2. The Compound Effect by Darren Hardy. Small changes done over time add up. 3. The Happiness Project by Gretchen Rubin. You don't have to follow her schedule, but the idea of pursuing what makes you happy makes a lot of sense. 4. You Are a Badass by Jen Sincero. We all can use someone like Jen in our corner cheering on our badassery. 1. Narcos...A Netflix drama chronicling the Pablo Escobar years in Columbia. 2. Frankie and Grace...A Netflix comedy with Jane Fonda and Lily Tomlin. This is a gem! 3. Big Bang Theory. Still. Enjoy this blooper reel. So funny! 4. Scandal. I'm Team Olitz all the way. Not wrong...just more for me. I'll pass on the tagging option, but please share your answers to any of these questions, or better, do this on your own blog. Tag me so that I can read your answer and learn about you too. Love your fun lists Kelly! I'm always thinking of where I would like to live next but never have an answer, and this might have a lot to do with kids and that light of my life grandson! Have a terrific weekend! Glad you decided to do it! Cadbury eggs are so good. I've been meaning to watch Narcos, are you liking it? It was fun. :-) I loved Narcos. It's well done. I love the infusion of news footage and I love that it's bilingual...it's subtitled in English when they speak Spanish, but it's so much better than believing that Pablo Escobar and his narcos would be speaking English. 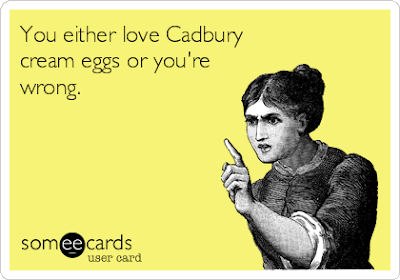 I mean, really... ;-) Cadbury now has SCREAM Eggs. God, help me! :-) Have a great weekend! It's fun to think about, Peggy. I have a friend who winters in Costa Rica with her husband, and they're at the point where the kids visit them there for a vacation. Anything is possible these days. Have a great tailgate weekend! I loved your list, Divya! Thank you so much for sharing yourself with your readers. 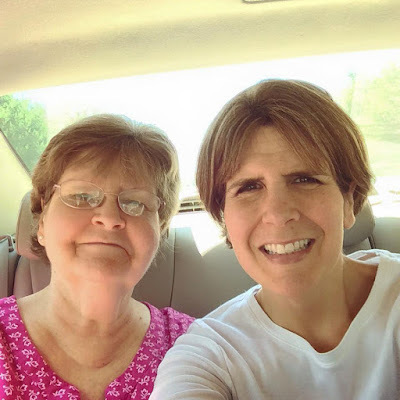 :-) It's so much fun getting to know our favorite bloggers. what a great survery. so true - nothing like mom's cooking. you and your husband make a fantastic looking couple! I'm totally with you on the Cadbury Creme eggs!